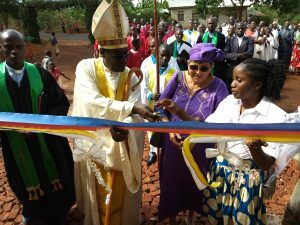 August 2017 Kumana vyose birashoboka: Nothing is Impossible, We began this adventure of dedicating the church with many challenges, or as Pastor says, many opportunities for God to show up. Despite these challenges, God showed up and has done great things. Not only did we dedicate the church, take trips to familiarize ourselves with the community and visit most of my sponsored children, we also began to form partnerships among different segments of the community. This mission center has become much more than a building with some weekly activities. It is a community wide effort to improve the whole area of Muyinga. I had the opportunity to introduce Bishop and other church leaders to people in the community who have similar dreams and goals that we do. 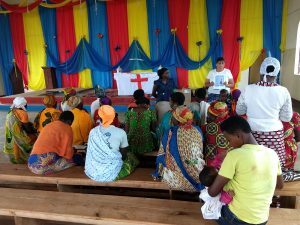 One exciting development is the possible connection between the church and World Vision. I also introduced several peacemakers, including one that the Buttries trained, to each other and encouraged them to work together in Muyinga. 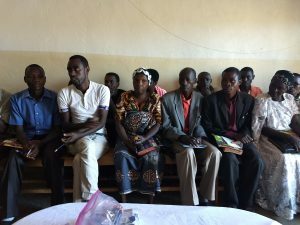 In the future, we hope to meet with pastors and business people of the area to see how we can expand the team to work together. In the meantime, I will set up a discussion group called “Urukundo” which means love so people can continue to pray and plan together. I also hope to strengthen the ties between Honolulu and Muyinga by presenting the Mayor of Muyinga with a key to the city of Honolulu. At present there appears to be three urgent needs to enable the church to be self-sustaining and to act as a force of change. The money donated by people in Honolulu will be used to address some of these needs. ‘Murakoze cane’ for your prayers and generous donations. 1. A minimum of 50 chairs. At present there are not enough chairs to seat all the present congregation. The church is growing and Bishop thinks we will need at least 250. Some people do not like to have to bring their own chairs and are staying away for that reason. 2. A water meter and pipe to bring water to the sight. The city will be ready soon to furnish water if we have the supplies. This will help the ladies who want to raise animals and crops to raise money. 3. A plot of land next to the church that can be used for agriculture. Other needs include electricity, a fund to care for emergency needs of the congregants, and a salary for the Pastor. Fortunately the church has a generator and the Pastor is willing to work for God without a salary. 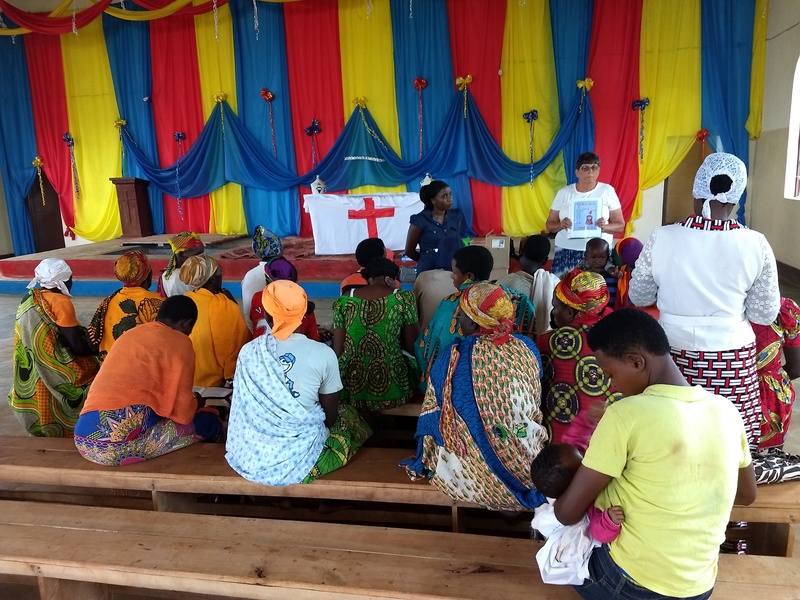 Bede, the Pastor, spends a lot of time praying for people and visiting the sick so the church is growing. One of the early challenges was to convince people that Burundi is a safe place for travel. The Burundians are quite upset about the U.S. government advisories against travel to Burundi. The Burundi government is trying to change this perception. As a result, taking pictures of most public places and government officials is forbidden without getting permission. Also, a new law was just passed forbidding a person to enter a province without the permission of the governor and the department of the interior. They are concerned that people will use pictures to promote bad publicity. We went to the part of Bujumbura that was formerly very dangerous but there were no problems. There are a lot of police with assault rifles but they are there to protect the president. If he is killed, it could start another civil war. There is a greater danger of being pickpocketed than killed. I learned quickly to keep my car door locked and the window part way up because the street vendors will try to open the door or put their arms in the windows. But even at that, most people only want to sell their goods. The Burundians are very hard-working people. They carry anything and everything on their heads or bikes even up steep hills. Most do not have modern farm equipment so they have to dig, hoe and plant by hand. Some of the soil is not very fertile but they try to eek out a living. There has been a famine the last couple years and without a crop there is no seed for the following year. Young children work in the brick factory outside in the heat, earning only pennies a day. The bricks are also molded by hand. At the moment the coffee crop, which is the country’s main export, is not doing well..
Orestine and I sang a duet: “I Surrender All.” I harmonized on the chorus and played the ukulele. We heard Pastor’s greeting and read the litany of dedication. Bede did a great job with all the technology. ‘Urakoze cane!’ There was also a baptism of about 22 people. As each person came out of the water, Orestine; Eleazar and I gave each one a towel to keep. Thanks to all the IM staff and members of First Baptist Church who made the dedication possible. I felt quite welcomed and at home in my home away from home in Muyinga. I did get to visit three of my sponsored children. 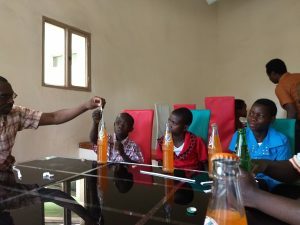 There are about 3,500 children in the project so most are not closely monitored because most of the resources are used for community development. As I spoke with the children, the World Vision staff and I also discovered some needs of the children. One in particular needs tutoring which they are going to try to set up. I was glad that I could advocate for the children. 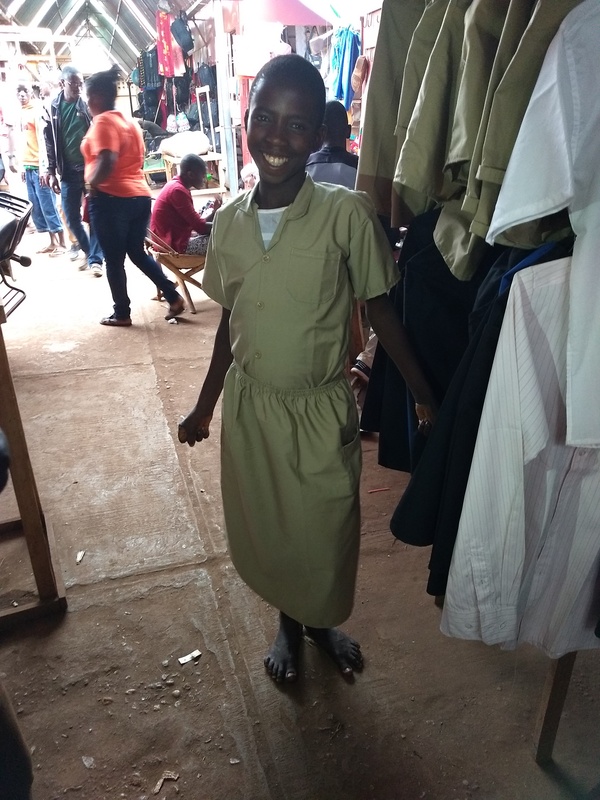 I took them to the market in the afternoon and they all chose to buy school uniforms and other clothes. I gave the parents money and they chose to buy school supplies for the children. I did not get to visit the one child in another project because of the new law. There was not enough time to get the permission to visit. However, World Vision treated me like a queen. There were two dinners and gifts for me. The president of W.V. 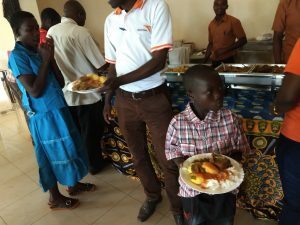 in Burundi even attended one of the dinners. Apparently when you reach some magical number, you get the royal treatment because I did not get any dinners the last time. I also got a tour of lot of the offices and projects including a water hole or well they had built. Those two days were very educational and enjoyable. ‘Murakoze’ to all the World Vision staff. I also did some teaching. Orestine was a great translator before she left to be with her family. The general theme was love since we had dedicated the Urukundo (love) Community Center. Most of the teaching went well. Their favorite activity was singing. However, in Muyinga we had 300 instead of the 50 children I expected, so when we tried to make the wordless bracelets chaos broke out. We had to close down the activity. They are used to grabbing and getting all they can get so our efforts to get them to wait their turn was futile. I learned how to get them to line up so when we made the bracelets in Bujumbura, things went a lot more smoothly although there was still some efforts to push and grab. In the future, I hope to speak to the ladies about the Prayer of Jabez and the twelve spies. We also got to do a lot of sightseeing including a park and a lake near Muyinga. I feel like I have a good geographic feel for the area. On the way back to Buja, we went to Ngozi and Kayanza to see a church and a medical center that Eleazar had suggested that we see. 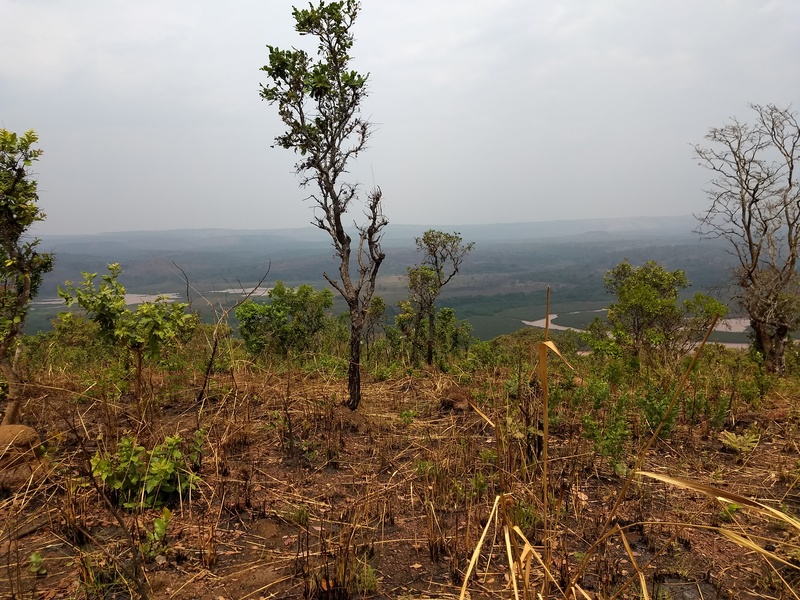 After getting back to Buja, we had some extra time so one day we went to the top of the mountain to get a good view of the city and another day we went to see the source of the Nile. That was thrilling and the history of how it was discovered is amazing. It also was great to see the beautiful countryside and the many colors of the mountains. The air and wind were very refreshing. Despite all this, the most unexpected and thrilling part of the trip is having a clear picture of what our next steps need to be and to see the relationships and the teamwork that is starting to happen. There is still much to be done but seeing what God is doing is energizing. More than once the building of the church and its dedication did seem impossible, but now I believe more than ever before that nothing is impossible with God. ‘Imana Ishimwe!’ Praise the Lord! We are seeing how God is working in one corner of the world. Multiply that by thousands to understand the greatness of God! When travelling, always be prepared to share the Gospel. Always have a tract with you. Remember those who have been imprisoned for their faith or by their unbelief. Doors open and close unexpectedly. Don’t miss an opportunity.